Top Actor, Prince Jide Kosoko confirmed Arakangudu‘s death to GoldmyneTv this morning. He said his association has despatched members to his house. The fantastic actor died yesterday 8th February 2016 in Kaduna State through heart attack. His remains according to a source will be moved to his home town in Osogbo, Capital of Osun State for burial this morning. Some of his other colleagues confirmed this news to us while his photos has now been using as RIP. For several years, the well-built, popular and talented actor who is known for his mastery of the roles of herbalist and armed robber in Arakangudu most Yoruba movies has gone off the scene where nobody could figure out his whereabouts. Then, series of questions and reports started flying in the media claiming that he has relegated himself from acting finally. The baritone-voiced actor made his turn back into make-believe industry not long ago. 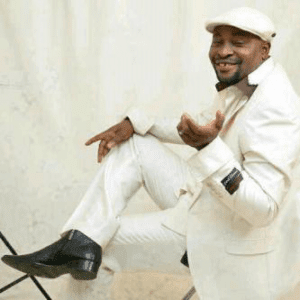 The versatile actor bounced back with his role in a recent movie titled Ayaba Oosa written and produced by Yetunde Abubakry and directed by Okiki Afolayan. It was released on Monday 2nd June 2015 from the stable of Okiki Films & Music Productions. Arakangudu played the role of one of the chiefs in the palace. The flick also featured the likes of Antar Laniyan, Ojopagogo, Moji Olaiya, Tomiwa Alajogun and many others.